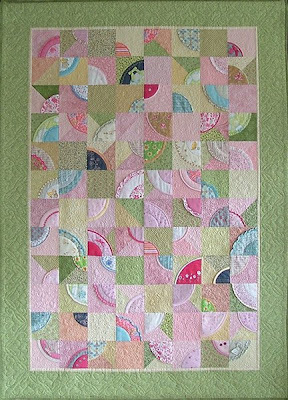 Bethany, domestic goddess, wanted to support a good cause, so she ran a silent auction on her web site - for a custom-made quilt made from a child's baby clothes. She thought she'd raise maybe $100 - but the high bid was $700! The response was so good that she's now offering baby clothes quilts for sale on Etsy. Update on September 6, 2011: It seems she's no longer selling these on Etsy. 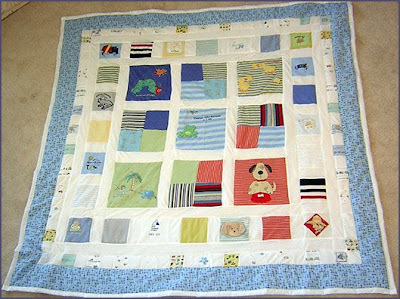 Pajama Quilts is yet another source for baby clothes quilts. As Danielle writes, "Are the cutest clothes your child has ever worn gathering dust in forgotten boxes? Let us create a memory for you to use or display for many years to come!" 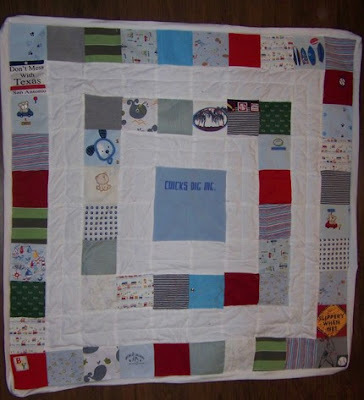 [via Babble] Update on September 6, 2011: Pajama Quilts seems to have disappeared. 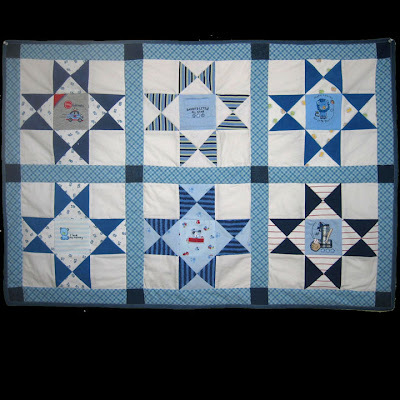 And you can also get a baby clothes quilt from Jellybean Quilts. As Jamie writes, "Don't you feel bad throwing away those stained or too-small onsies with the cute little ducks? Can't bear to part with the fuzzy walrus P.J. 's, but know they'll end up in a box in the basement? Want a way to turn those baby clothes into memories?" 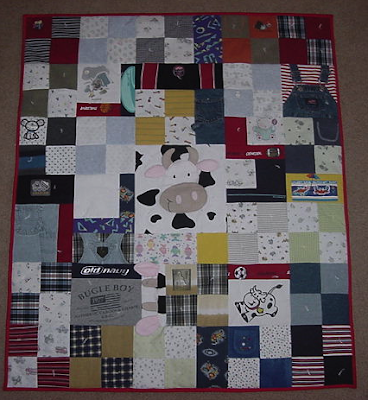 The Patchwork Bear makes a very different style of baby clothes quilt. 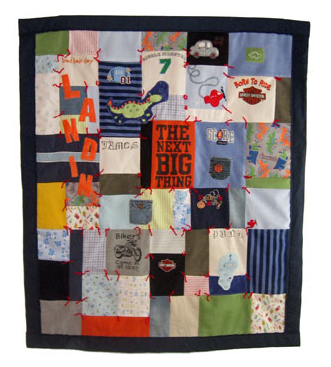 And for another different approach, take a look at the whole clothes quilts from Legacy Quilts. And finally, I don't know if Kathy K. Wylie is still taking commission work like this, but take a look at her web site, where she shows some of the clothes and how they fit into this stunning quilt. Related Post: But Those Old Baby Clothes are So Cute! And Sentimental! We offer a 'commission a memory quilt' service for people in the UK. I'd be very happy to help anyone looking to have a quilt made or who has made their quilt top and would like it finished! I've referred a few people looking to make their own to your blog post - it's really informative.